Discussion in 'Ancient Coins' started by SeptimusT, Feb 10, 2019. I consider myself immensely lucky to have stumbled upon this Roman votive deposit being sold by the metal detectorist who found it. While all of the objects are quite crude, it is an incredibly unique assemblage to have been found (and sold) with its original context. It came from North Yorkshire, between the present-day hamlet of Snape (which was once the site of a Roman villa) and Bedale, from a site which had produced isolated Roman denarii, a Celtic or Romano-British cauldron, and later artifacts from the Saxon period into the early modern. The deposit in question is late Roman to sub-Roman, and has the crudeness you’d expect for that time period. It consists of a roughly made (although perhaps somewhat deformed by age) miniature lead bowl, in which were placed two coins and what is probably a crude figural bronze. The bowl is 28mm in diameter, set on a rimmed base, and weighs 17.65g. Similar miniature lead-alloy tableware is known from throughout the Roman Empire, and is sometimes quite complex (see the thumbnail below). It has been suggested that they were associated with girls, which were dedicated to Venus or the family lares when the girl came of age. These scholars think they were not exactly ‘toys,’ since they weren’t meant to be played with, but served as more of a protective amulet in the same way that phallic fascini were to boys. However, the leading scholar on Roman miniature votive objects concluded that these objects should not be counted as votive models, since their presence in ritual contexts “is secondary to their function as toys.” No mention is made of them being used as containers for votive offerings, as seems to be the case here. The two coins are interesting in that their dates are separated by a great deal of time, but this is not particularly unusual in hoards of this time period. One is an imitation of a Gallienus antoninanus depicting Sol advancing left, carrying a whip and raising his right hand, probably in imitation of coins issued by the Rome or Milan mint circa AD 257-258. It is too small for the issue, 19mm in diameter and weighing 1.18g. The other coin, which can be used to establish the earliest date for the deposit, is a Lugdunum mint AE of Gratian, RIC 30a, depicting a votive reverse and measuring 16mm in diameter and weighing 1.68g. While it is easy to imagine that the reverse was chosen for its symbolic implications since it was placed in a ritual context, this could be entirely coincidental. The most interesting object to me is what the metal detectorist believed was perhaps a bronze snake’s head, but after some research and consulting with an archaeologist with experience in Roman Britain I tend to think it is crudely figural, like the example pictured below (SWYOR-1AF5B1) from the Portable Antiquities Scheme. 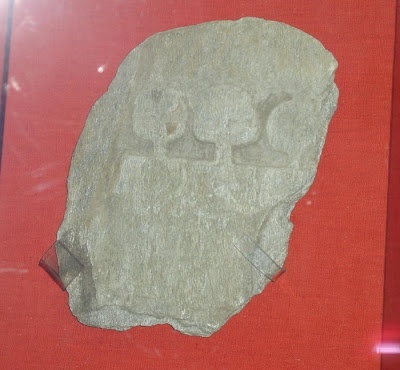 Crudely figural objects like this, lacking defined arms or legs, are found in post-Roman contexts in Northwest Europe, but in a Roman contexts are associated with the genii cucullati, hooded spirits of Celtic mythology which might be associated with fertility, prosperity, or rebirth. These are often crudely represented, but not always. It is also quite similar to some depictions of Telesphorus, a god of healing who was probably Celtic in origin (seen here on a Cilbiani provincial issue of Geta). It could also be representative of a person in general, or represent a deceased loved one, or be something else entirely. It is cast, flat on one side, and has two incised depressions near the center (the eyes, if it were to be a snake, but it could also be seen as a crude way of representing arms beneath a cloak, or breasts). The smaller area (the ‘head’) looks like it has been cut out of an evenly shaped object. If anyone else has any suggestions as to what it is or has seen something similar, by all means share it. As an archaeology student I felt conflicted acquiring this piece, since it was not reported to the Portable Antiquities Scheme (which it legally did not need to be) and represented a fairly unique find. Ultimately, I decided to go for it so that I could keep it together and learn as much as I could about its context since it was already out of the ground and there was nothing I could do to change that. It’s hard to say more about this object without being able to examine its context and look for other associated finds, if there are any. 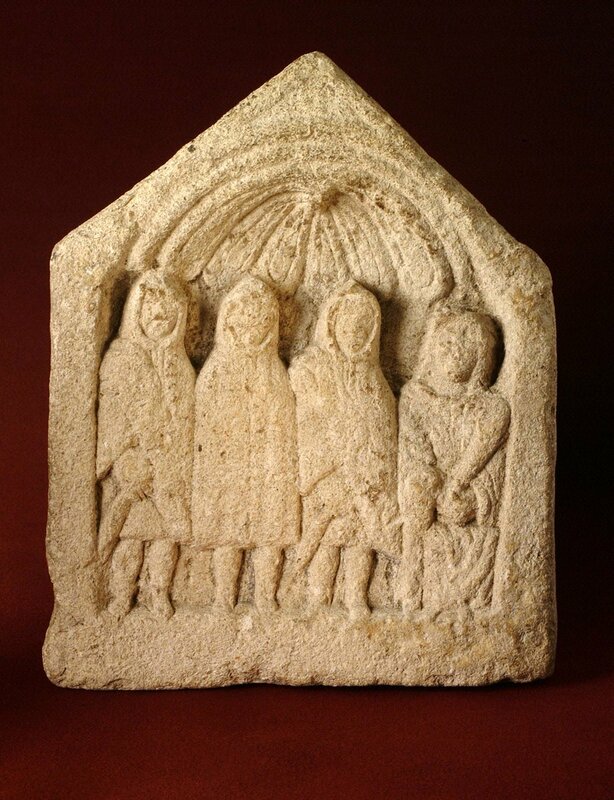 All I can say for sure is that it is a fascinating example of late Roman (or even sub-Roman) religious practices in Britain, and due to its crude nature it was probably placed by a lower status individual. I hope that in the future similar objects will turn up to give us more insight. For now, it makes a fantastic addition to my collection of Romano-British objects, and I hope it will be of interest to some of you as well. Jay GT4, seth77, Carthago and 18 others like this. Great post @SeptimusT - and congratulations on your acquisitions! I am very familiar with that region. I’m really considering moving out from Canada. Here the only thing we find when we dig is ....snow ! Theodosius and Kentucky like this. This is the time of the year I'm really glad I'm in Florida! 75F-80F for highs, and lower to mid 60F-65F for lows. Perfect!!!!! Theodosius, Alegandron and rrdenarius like this. Nice @SeptimusT - pretty interesting find. great find and story, thanks for sharing. There are plenty of coins and aes rude pieces that have been found in building foundations, at river crossings, in pits near temples, etc. Cool find and post. I like your approach to studying this find and presenting it here so many other people with knowledge of ancient Rome can see it.